DB is proud to be one of the largest ITW Buildex Distributors on the West Coast. 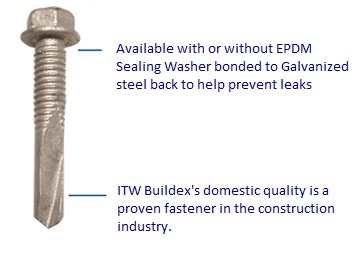 DB carries a complete line of ITW Buildex Fasteners and accessories including their full line of self drilling Traxx Fasteners, Scots, Tek Select and HTZ Fasteners. Buildex now has a complete line of ICC ES approved Fasteners. ICC Report 1976 is available here.